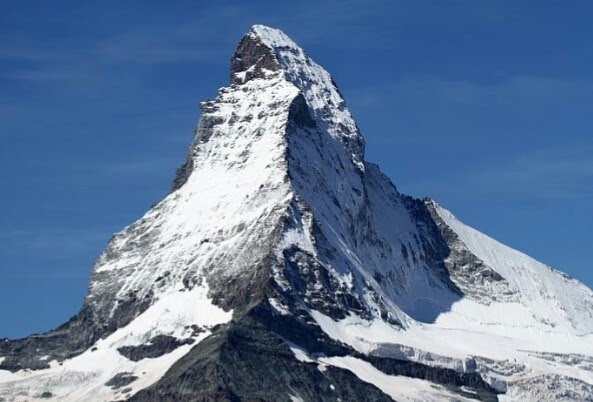 What do you get when you combine two iconic aspects of Switzerland: mountains and chocolate? 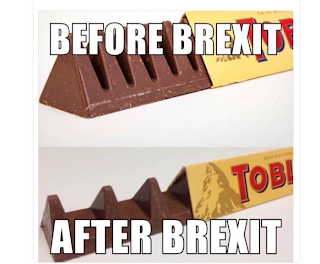 Toblerone! 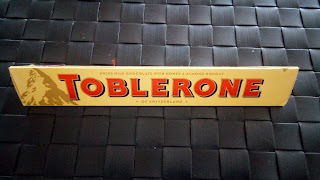 The name Toblerone is the combination of the chocolatier's family name, "Tobler", with the Italian word for nougat, "torrone". And the unique triangular shape is the stuff of legends. Some think it is a nod to the one of the most recognizable mountains in Switzerland, the Matterhorn. On the official Toblerone website the theory that the triangular shape had far sexier origins is floated, "a red and cream-frilled line of dancers at the Folies Bergères in Paris, forming a shapely pyramid at the end of a show." 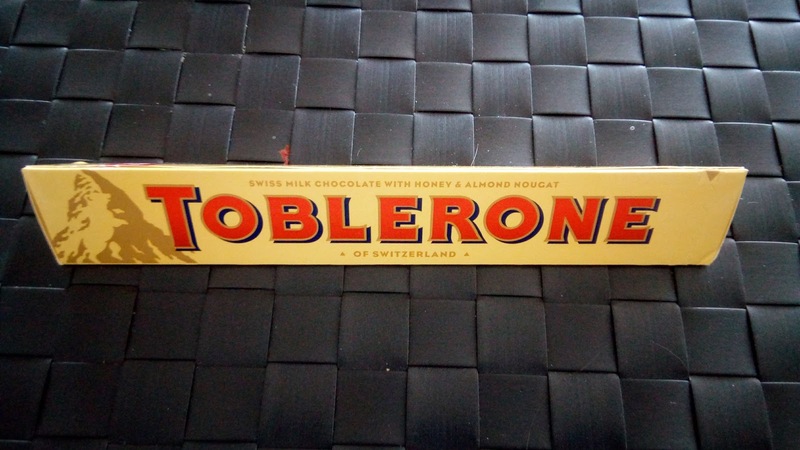 In fact, the shape of this chocolate is said to be the inspiration for anti tank defenses, or toblerones, built by the Swiss to slow any possible invasion by the Nazis during the Second World War. 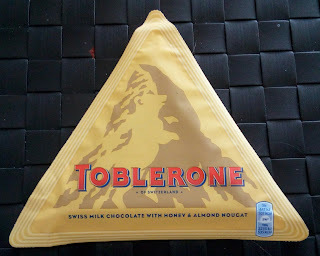 While the triangular shape has remained the same, the logo of Toblerone has changed over time. The first logo featured an eagle. Then in the 1920's, they switched to a Bernese bear as Bern was known as "City of Bears". In the 1930's the eagle reappeared until 2000 when they changed the logo to reflect the Matterhorn mountain, but with a nod to their home city. Do you see a shape on the left side of the mountain? Yep, the Bernese bear is in profile 'hiding' on the mountain. 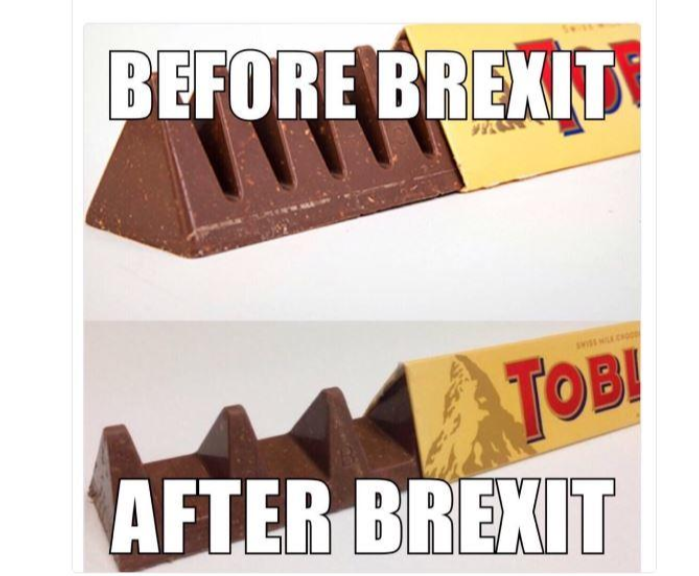 The bottom picture is actually what they did to cut production costs. that loves chocolate as much as I do.